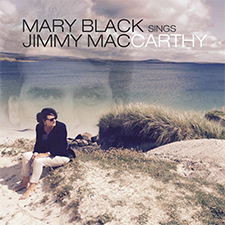 This is the first studio recording from Mary Black in six years, and it’s a collection that demonstrates an artist in full command of her bewitching vocal prowess. 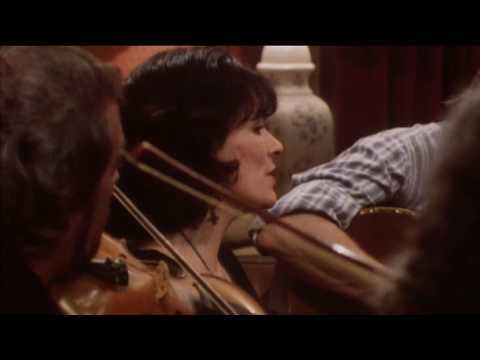 Throughout an impressive career, Mary has consistently demonstrated impeccable taste in her choice of material, and the evidence presented here suggests that her ear for seeking out songs of utmost grace and beauty is as keen as ever. With a voice that has only gained in depth and resonance over the years, Mary brings her trademark warmth and sincerity, casting light and shade amongst the lyrics to create her own personal space amongst the words of carefully chosen songwriters. Never one to rest on her laurels, we’re gifted songs from familiar friends such as Shane Howard, Eric Bogle and Julie Matthews, alongside burgeoning writing talents, including Danny O’Reilly and Ricky Lynch. Sharing the stage with a number of guests, Stories From The Steeples contains three duets: the beguiling “Lighthouse Light” features Janis Ian in a perfectly balanced performance that whets the appetite for further exploration of this winsome partnership; the robust, soulful voice of Imelda May joins Mary on an affirmative song of place and belonging, “Mountains To The Sea”; and the playful “Walking With My Love” finds Mary exchanging lines with the legendary Finbar Furey. All three performances are notable for their palpable sense of modesty and mutual admiration. Two stand-out tracks come from particularly close to home, being written by Mary’s son, Danny O’Reilly. “Faith In Fate” paints a stark contrast between the sheer despair of a broken relationship with a determined hopefulness to move on and patch things up. Managing to be simultaneously bleak and uplifting with its heady infusion of hurt and devoted affection, it’s a song that plays to all the strengths of Mary’s typically emotion-wrought interpretation. Offering a similar cocktail of emotions, “Wizard of Oz” is a mournful reflection on the search for strength and happiness, underpinned by a dreamy string arrangement over which Mary lays her heartwarming vocals. Fulfilling the role of storyteller, Mary excels in bringing lifelike colour to the characters of “Marguerite And The Gambler,” a Ricky Lynch song that recounts the familiar tale of many a traditional folk ballad, with its gamblers, true love, misguided familial intervention, heartbreak and devastation. Those purchasing the extended version of the album are handsomely rewarded with an exquisite reading of Chris Woods’ “One In A Million,” a story of true love that takes the mundanities of life and turns it in to utter magic, and proving beyond any doubt that Mary remains a song’s best friend. Paul Kelly’s “They Thought I Was Asleep” benefits from a tender reading, cloaked in Mary’s trademark warmth, depicting the torment of a child inadvertently witnessing from the back seat of a car, the emotional breakdown of his parents’ relationship. Equally devastating, though of more epic proportions, Eric Bogle’s “All the Fine Young Men” is made all the more disarming, thanks to the sheer reverence with which Mary furnishes this stark, anti-war anthem. With a little less polish than some of her earlier releases, Stories From The Steeples steps forward as an intimate, unpretentious collection, bathed in a soft but radiant glow of effortlessness and wholehearted integrity. Time will tell, but Stories From The Steeples may well prove to be Mary’s best yet.